Kaduna State Governor, Malam Nasir El-Rufai, needs no introduction as far as Nigeria politics is concerned. The former minister of the Federal Capital Territory(FCT), recently fielded questions from selected journalists in Kaduna. He spoke on various issues including the ban of Sheikh Ibrahim El-Zakzaky’s Islamic Movement of Nigeria(IMN) and Southern Kaduna killings. Southern Kaduna crisis and killings have become almost a regular occurrence, what is your administration doing to curtail this ugly trend? When we came to office, the two problems we face in the area of security were cattle rustling in Birnin Gwari Giwa axis and these communal killings in southern Kaduna. We were very concerned about both and we did two things. We needed to understand what was happening in Southern Kaduna. We understood cattle rustling and we convened a meeting of all the North West governors because the problem was centred around the forest fringes of Kuyambana and felt state cooperation was necessary. We came together and launched an operation to deal with cattle rustling. We are successful because we degraded their ability to do cattle rustling, even though that created a problem of kidnapping, because they moved from cattle rustling to kidnapping we are still facing. For southern Kaduna, we didn’t understand what was going on and we decided to set up a committee under Gen. Martin Luther Agwai (rtd) to find out what was going on there. What was established was that the root of the problem has a history starting from the 2011 post election violence. Fulani herdsmen from across Africa bring their cattle down towards middle and southern Nigeria. The moment the rains start around March, April, they start moving them up to go back to their various communities and countries. Unfortunately, it was when they were moving up with their cattle across southern Kaduna that the elections of 2011 took place and the crisis trapped some of them. Some of them were from Niger, Cameroon, Chad, Mali and Senegal. Fulanis are in 14 African countries and they traverse these countries with the cattle. So many of these people were killed, cattle lost and they organised themselves and came back to revenge. That is their culture; if you kill a Fulani man, they send the information from generation to generation until the account is settled. So a lot of what was happening in Southern Kaduna was actually from outside Nigeria. We got a hint that the late governor Patrick Yakowa, he got this information and he sent someone to go round some of these Fulani communities, but of course after he died, the whole thing stopped. That is what we inherited. But the Agwai committee established that. We took certain steps. We got a group of people that were going round trying to trace some of these people, trying to trace some of these people in Cameroon, Niger republic and so on to tell them that there is a new governor who is Fulani like them and has no problem paying compensations for lives lost or stock and he is begging you to stop killing. In most of the communities, once that appeal was made to them, they said they have forgiven. There is one or two that asked for monetary compensation. They said they have forgiven the death of human beings, but cattle. We said no problem, some we paid. As recently as two weeks ago, the team went to Niger republic to attend one Fulani gathering that they do every year with a message from me. So this was the problem, we knew this by August last year and we started taking steps. But what is happening now, I don’t want it to be restricted to Southern Kaduna. I noticed that some people are trying to bring religion or ethnicity into it; what about Zamfara State? 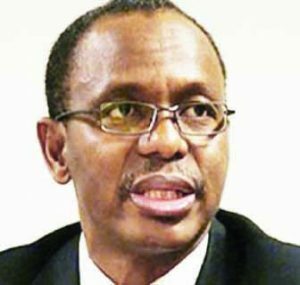 Are there southern Kaduna people in Zamfara or Christians? That is why I considered the statement by the president of Christian Association of Nigeria (CAN ) most irresponsible. Some people don’t understand the burden of leadership. The same Fulani are killing Fulani in Zamfara, it is not about religion or ethnicity, this is a pure case of banditry. They are criminals, their ethnicity, their religion does not matter. Let’s fight the problem, let’s not bring sentiments, sensationalism and division into it. What is happening in Southern Kaduna today in my opinion, has roots in banditry, it has nothing to do with what has happened in the past to a large extent. It was a small problem that started in Ninte village, Godogodo that could have been handled better by the local communities; by the leaders of the Fulanis and the leaders of the communities but they did not do it well. I was very sad, I went there. Any life lost in Kaduna State is a burden on me because as the governor, I have to defend the life of every one. As a government, we regret the loss of lives. We regret the destruction of property. I am giving you the background because it is important to understand this and not to encourage those that want to give this a dimension that thrives on division of religion and ethnicity, that is not it. Today in Kaduna State, we have 400 people for kidnapping and cattle rustling and armed robbery. All but about five of them are fulanis. I am fulani, does it mean I should not have them arrested and prosecuted? I don’t consider them Fulani, I considered them as criminals. Whenever I sit with Fulani leaders, I tell them that we arrested over 400 suspects and 99 per cent of them are Fulanis and they should ask themselves why is it only fulanis that are doing this. Is that part of the culture of the fulanis, since when did they start carrying AK47 and so on. We are trying them and some that resisted are being killed and some people are saying this and that. It hurts me when people that are supposed to be leaders try to politicise death and destruction of property; it is irresponsible. It amounts, in my option to hate speech, you can’t say things like that. There is enough of these banditry going on in the country for you to know it has nothing to do with religion or ethnicity. From a small problem in Ninte, some people found a way to add fuel to the fire, because it is politically expedient to do so, not caring how many people get killed. Over time, the culture of impunity has permeated also segments of society, people think they can do anything and get away with it. There is very weak law enforcement or uneven law enforcement. If you are from this ethnic group or religion, you can do something and get away with it but the other one cannot. There is a mindset that you can take the law into your hands. This is what has been happening and escalating the problem. So, it is most unfortunate, but honestly the whole challenge is that of banditry and it has to be addressed. Secondly, I think that those that preach the message that, this one is a settler, he shouldn’t he here or this one is of different tribe and religion, he should not live with you, are more responsible for what is happening than anything else. How can you look at somebody that has stayed in a place for 200 years and say he is a settler. How long have you lived there? We all came from somewhere. Why did you ban the Islamic Movement in Nigeria (IMN) ? The issue of Islamic Movement in Nigeria ( IMN) and their declaration as an unlawful society is something that we did with all sense of responsibility. Many media outlets have presented what we did in various ways which are misleading. What we did was not to ban any organisation, we have no power to ban an organisation if it exists, we cannot ban religion or religious practice. What we did is to say that the Islamic Movement in Nigeria is an unlawful society and we derived the powers to do this under the penal code that was passed in 1963, so, it is not a new thing that we did. The governor can declare any organisation an unlawful society, if it poses a threat to the security, peace and governance of the state and we concluded, after receiving the report of the judicial commission of inquiry that looked into the clashes between the IMN and the army, that the IMN poses a threat to the peace, security and good governance of Kaduna state. That is what we did. We did not ban Shiism, we did not ban Shiites. We did not say they cannot practise their religion, because in Kaduna state, there are at least two Shiites organisations that we know. There is Alkafaalin Foundation, there is Rasulaazam Society. These are all Shiites organisations and they are not outlawed. They are not outlawed because all they do is to preach their brand of Islam and they practice their brand of Islam and they are free to do so. There is also a misconception that IMN is the same as Shiites; IMN is only one out of many Shiites organisations. There is a prominent Shiites organisation with its headquarters here in Kaduna that is headed by Sheikh Hamza Lawal. He is well known, he used to be with IMN, he left them because he realised that IMN is more interested in political struggle than religious development. Because IMN doesn’t recognise Nigerian laws, they are not registered with CAC, so they cannot be sued or held responsible. They build anywhere they want without approval. They don’t even bother to acquire title to land. Their allegiance is not to Nigerian government, their allegiance is to somewhere else. I want to ask you, if you put all these facts together, what does IMN look like? IMN looks like an insurgency waiting to happen. You say you don’t recognise the constitution, you don’t recognise the President and the governor and they don’t register to vote, they don’t believe in it. So, when they said that we went to Ek-Zakzaky during the election, it is a lie. I visited El-Zakzaky’s children, that is the picture they are saying I went to campaign. El-Zakzaky was in the university with me.